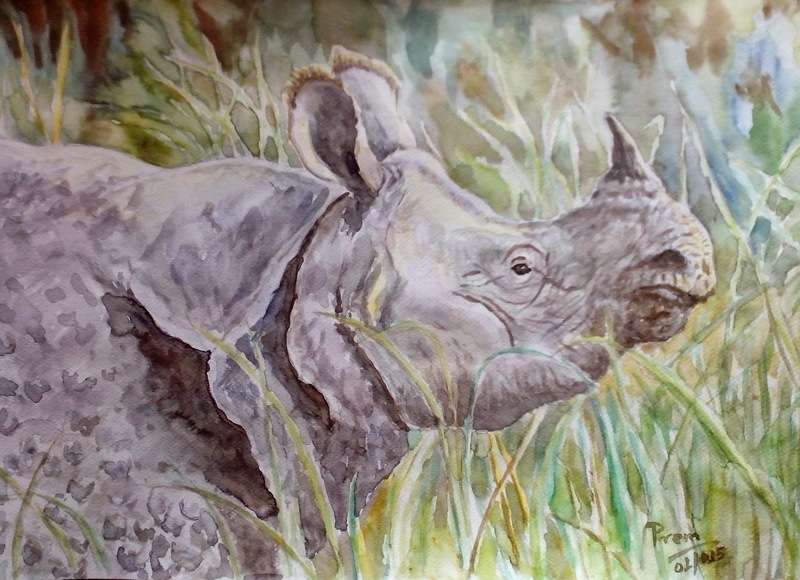 This One-horned Rhino is my latest watercolor painting. I did this painting after about a gap of about three months due to problems with my eyes. All the paintings below are more than three months old and some are attempted twice in order to improve upon the first attempt. 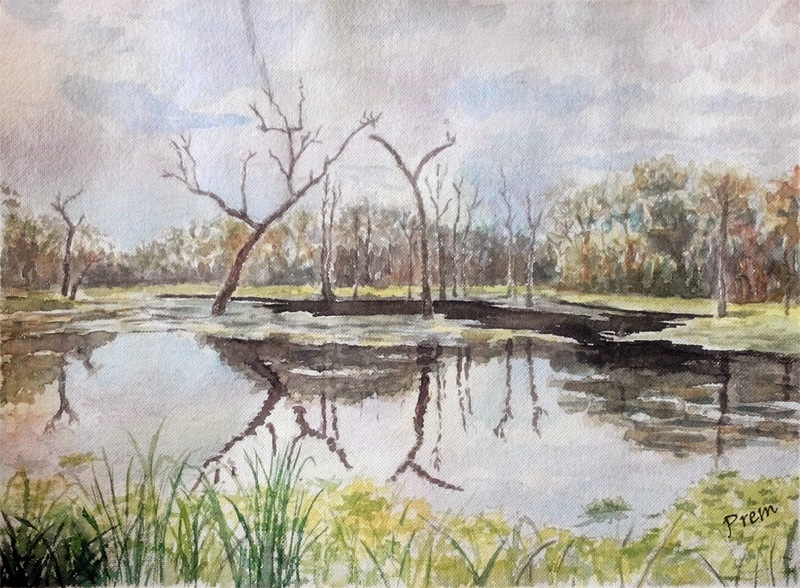 This is the painting of "Rhino Taal" or Rhino Lake of Chitwan National Park. This is a second attempt of the Rhino Taal painting made on the hand-made paper. This painting is also the second attempt of the painting I have made already. 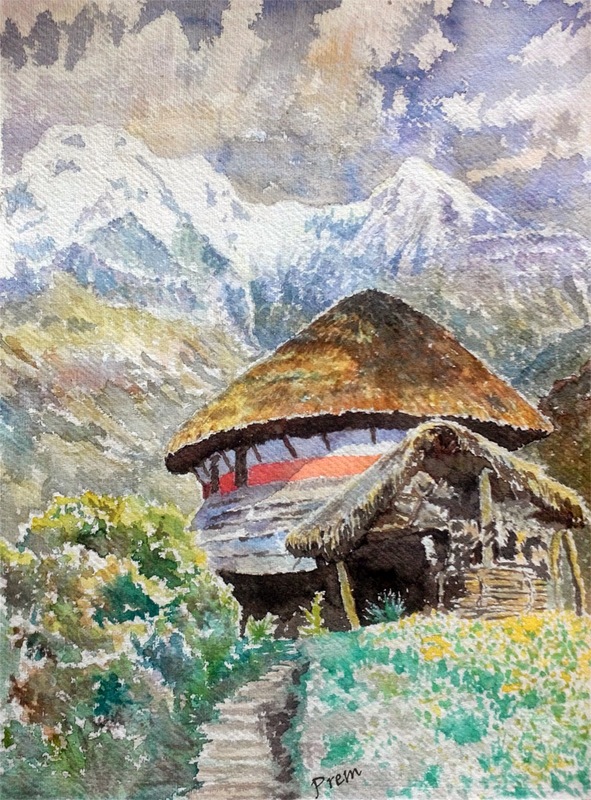 It represents a Hilly Village of Nepal and is made by referencing an oil painting. This is a Narayani bridge, also made on hand-made paper. It is small in size than the rest of the paintings. 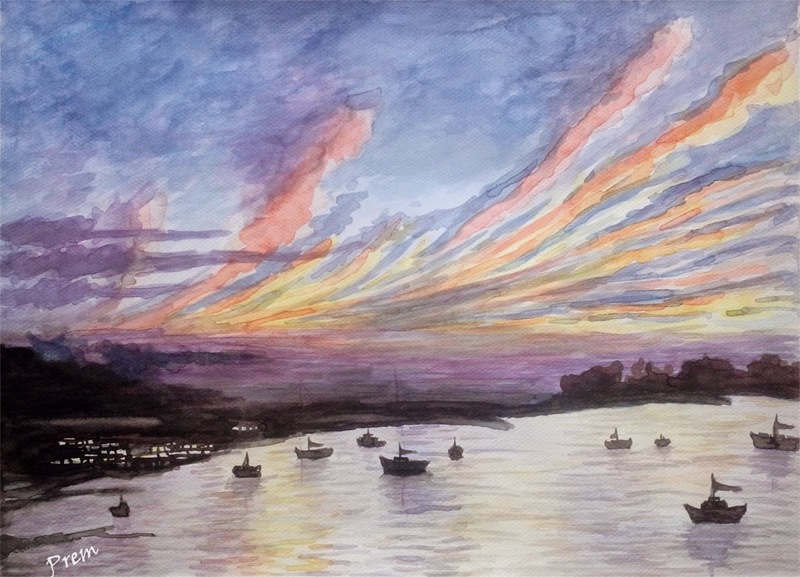 This is also the second attempt of the "Seascape" painting which is made on French Cartridge. 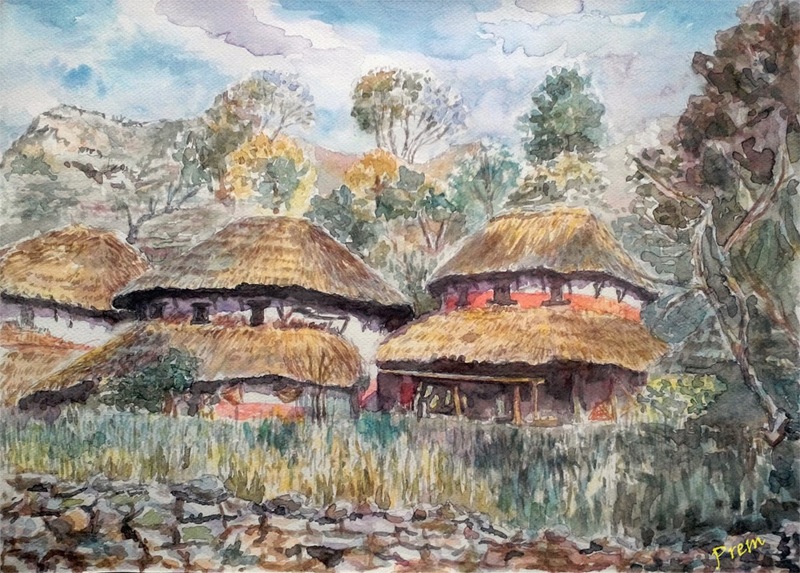 This is a Village Scenary made on one of the best kinds of handmade paper. It is my first attempt on the hand-made paper. 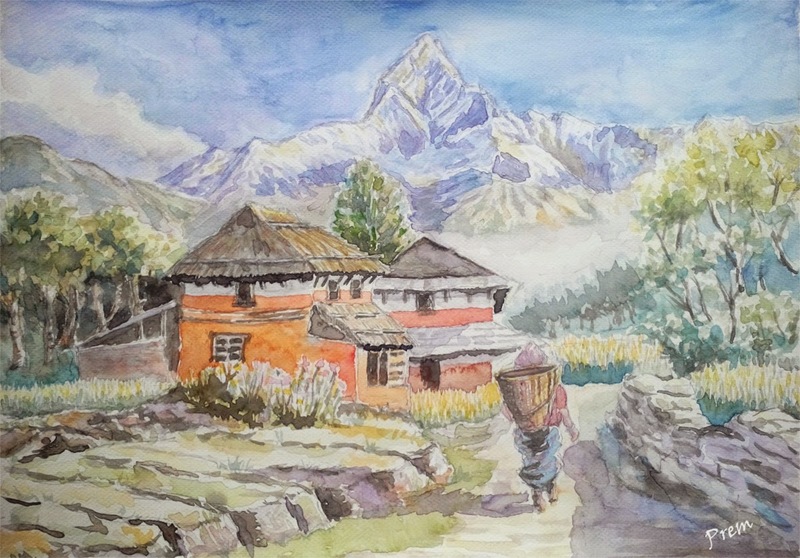 Another hilly village scenery, this painting is made on French Cartridge of A3 size. 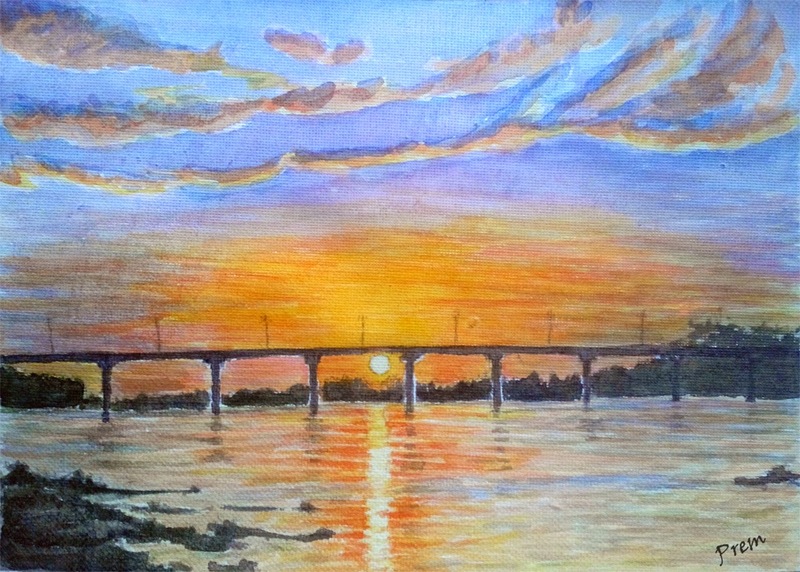 All of the above paintings except that of Narayani bridge are made on A3 size. All, except the Rhino, are framed already and ready for sale. In the last three months, I worked on framing and have been successful to frame the twelve recent paintings in total. I am further planning to frame two of my old paintings and the latest painting of the Rhino. Recently, I am looking for artist friends in order to improve, collaborate for exhibition and thus contribute something for the society. I have vowed to collect around Rupees ten thousand for Help Nepal Network, and the rest of the money will be used for covering painting expenses and learning and further charity and social works. I have also joined Leo Club of Bharatpur about three months ago in order to serve society and make a difference in the society.